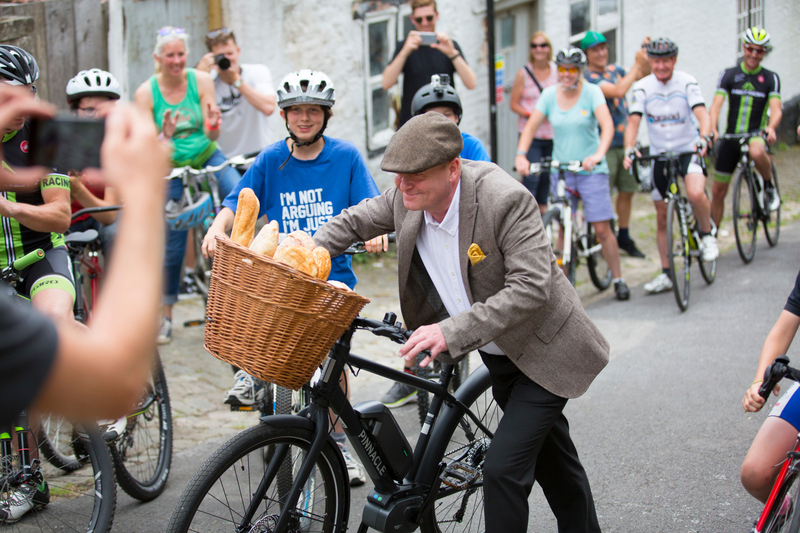 44 years on from the original, Evans Cycles has revisited Sir Ridley Scott’s iconic 1973 Hovis advert. 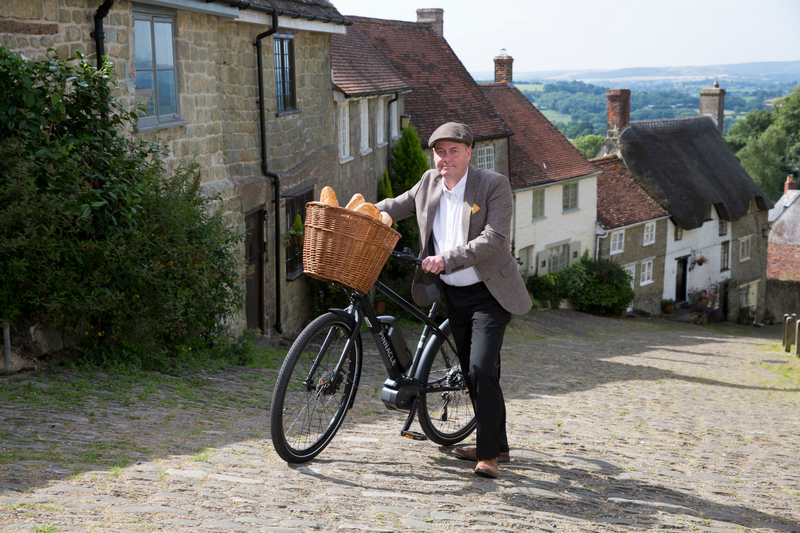 The original Hovis boy Carl Barlow, now a 58-year-old retired firefighter, is seen finally conquering Gold Hill in Shaftesbury, Dorset, thanks to the power of an electric bike. An electric bicycle, or e-bike, is a normal bicycle that has been adapted to incorporate an electric motor which gives pedal assistance to help riders go faster, further and tackle steep hills with ease. Evans Cycles created the film to show how e-bikes can help people to conquer even the toughest routes and commutes. 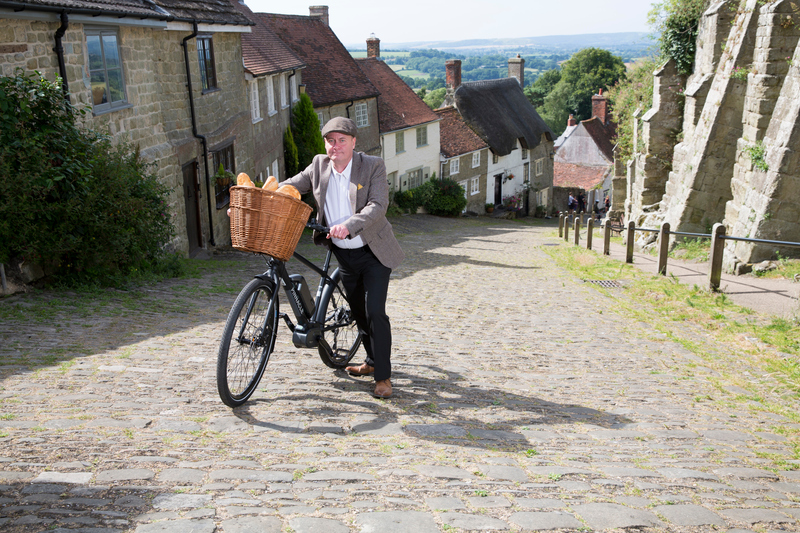 The original 1973 Hovis ad shows a youthful Carl having to push his bike up the road to deliver bread but, in this 2017 re-run, an e-bike makes light work of Gold Hill’s steep incline. 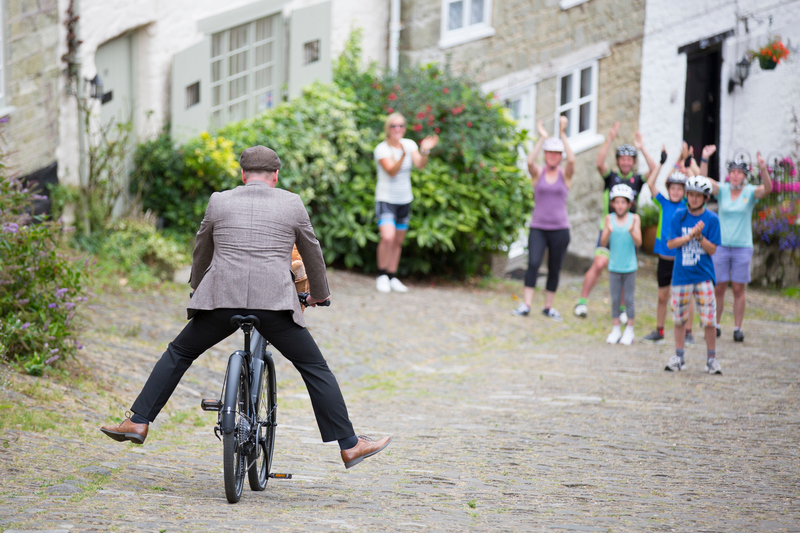 As the updated film shows, Gold Hill is harder work on a standard bike, with multiple riders attempting the hill with little success, before Carl glides up on an e-bike. In addition to making light work of hills, a survey by Evans Cycles discovered that using an e-bike could also counteract other reasons why some commuters are currently not choosing cycling for their journey to work. The electric motor of an e-bike can reach a top speed of 15.5mph. This means that two of the major concerns for commuters; the length of time it takes to make a journey (27 per cent), and the fear of arriving to work hot and sweaty (33 per cent), are no longer an issue. The pedal assisted motor would also aid the 19 per cent that felt they lacked the required fitness to cycle to work. Most encouraging of all, were the findings that choosing an e-bike over a car, bus, the tube or train will save commuters a significant amount of money per year. With non-cycling commuters currently spending an annual average of £1,855 on commuting, they could stand to save a staggering £7,791 in just five years. 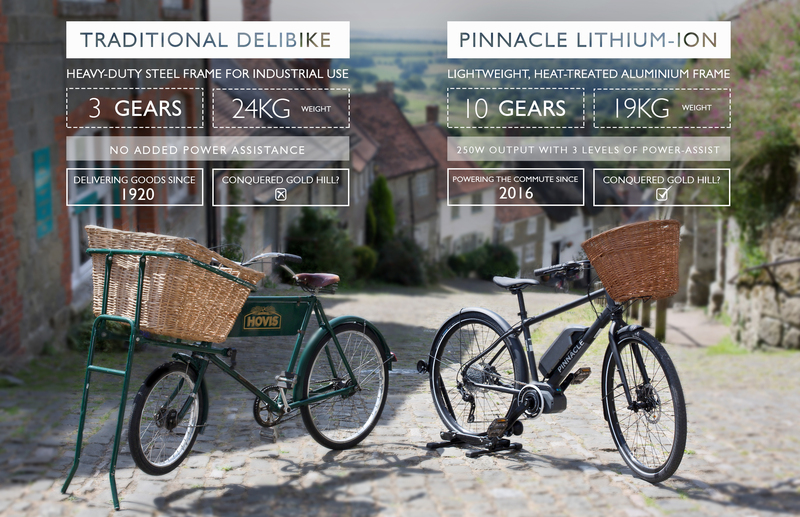 The one-off cost of an e-bike totalling an average of £1,484*. Despite the potential for e-bikes to make commuting healthier, happier and more economical, only a quarter of commuters surveyed were currently aware of what an e-bike actually is. Joel Natale, Commercial Director of Evans Cycles said, “75 per cent of UK commuters not knowing what an e-bike is shows that it is currently an unknown solution to many people’s commuting problems. Having also found that hectic, overcrowded public transport is a key frustration for at least one in five commuters, this could now be a thing of the past, and with powerful pedal assist, the worry of arriving to a meeting red-faced and sweaty is eliminated. We hope revisiting such a beloved advert, and helping Carl conquer the hill once and for all, will inspire more people to get on two wheels, save on their commuting costs and escape the frustrations of how they currently get to work”. “The Evans Cycles study finds that 90 per cent of us arrive at work after our commute feeling full of frustration, stress or anger and that this feeling lasts for 50 minutes on average. When we get frustrated, stressed or angry our fight or flight mechanism in our brain switches on, which releases the hormone cortisol. Unfortunately, if you arrive at work with cortisol already rushing round your body and then have your usual work stresses, then your levels can remain high for a long period which can be really problematic. A great solution to the stress of commuting and the benefits of exercise is to ‘actively commute’ to work. It increases the activity of mood and pleasure neurotransmitters, which make you feel more positive towards whatever is likely to be thrown at you at work that day”. With electric bikes and their revolutionary technology still unknown to such a large portion of the population, Evans Cycles are offering free test rides to encourage more people to take to two wheels, build their fitness and better their commute in a less strenuous and intimidating way. As Evans Cycles ambassador Sir Chris Hoy adds, “E-bikes are great for people to commute on over distances that they might not be able to manage without the electric motor. In short, they’re a really nice combination of using your own human power, your own effort and having a little bit of assistance too. I think once you’ve ridden an e-bike, you completely ‘get it’”. More information from Evans Cycles on electric bikes can be found here. Evans Cycles is a leading retailer of bicycles and cycling equipment, that caters for the avid cyclist, all the way to cycling novices. Following the ethos that there is a ‘Match Made in Evans’ for every cyclist, no matter how young or old. Their Pinnacle range of e-bikes such as the Lithium Ion 2017 ridden by Carl Barlow in his return to Gold Hill, are supplied in 3 different sizes, and can travel for 60 miles on a single charge. •	Survey of 2,000 UK commuters conducted by Censuswide on behalf of Evans Cycles in July 2017. This press release was distributed by ResponseSource Press Release Wire on behalf of Propellernet in the following categories: Men's Interest, Entertainment & Arts, Leisure & Hobbies, Consumer Technology, Travel, Media & Marketing, Transport & Logistics, for more information visit https://pressreleasewire.responsesource.com/about.